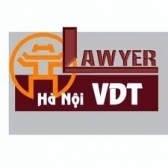 - The VAT amount payable upon import of equipment, machinery, special-use vehicles, construction materials, raw materials, supplies and semi-finished products included in technology lines which cannot be produced at home and need to be imported to create fixed assets is VND 200 million or more. - Their investment projects are of national importance which are considered and decided by the National Assembly or group-A investment projects specified in Article 2 of the Government's Decree No. 12/2009/ND-CP of February 12, 2009, on the management of investment projects on construction of works. - Theirs are investment projects on production of and trading in VAT-Iiable goods and services or both VAT-liable and non-VAT-liable products and services. 2. Goods which cannot be produced at home and need to be imported to create fixed assets specified in Clause 1 of this Article will be deter­mined based on the list of equipment, machinery, spare parts and special-use vehicles which can be produced at home, the list of construction materials which can be produced at home and the list of raw materials, supplies and semi-finished products which can be produced at home, issued by the Ministry of Planning and Investment. In case production and business establishments import complete technology lines which include both equipment, machinery, special-use vehicles, construction materials, raw materials, supplies and semi-finished products which cannot be produced at home and those which can be produced at home, they may carry out procedures for tax refund under the guidance in this Circular for all equipment, machinery, special-use vehicles, construction materials, raw materials, supplies and semi-finished products included in technology lines. 3. Goods which cannot be produced at home and need to be imported specified in Clauses 1 and 2 of this Article do not include: special-use fixed assets used for the manufacture of weapons and ammunitions for defense and security; fixed assets which are houses used as offices and special-use equipment in service of credit activities of credit institutions, reinsurance, life insurance and securities companies, hospitals and schools: civil aircraft and yachts not used for passenger and cargo transportation or tourism and hotel business. a/ An application for tax refund, made according to form No. 01/HTBT issued together with the Finance Ministry's Circular No. 60/2007/TT-BTC of June 14, 2007, guiding the implemen­tation of a number of articles of the Law on Tax Administration and Decree No. 85/2007/ND-CP. clearly stating the refund of VAT on imported equipment, machinery, special-use vehicles and supplies included in technology lines which cannot be produced at home and need to be imported to create fixed assets. The dossier does not include documents on payment of VAT at the import stage. - The "paid VAT amount" item is written with the phrase "documents on payment of VAT at the import stage are not yet submitted." - The "notes" column is written with the phrase "documents on VAT payment are not yet submitted." Business establishments shall take responsi­bility before law for the validity, lawfulness and accuracy of dossiers, vouchers, invoices and other documents related to the request for VAT refund. - Business establishments shall compile and send to tax agencies dossiers of application for VAT refund, excluding documents on payment of VAT at the import stage. - Tax agencies shall receive and examine dossiers of application for tax refund of business establishments in accordance with the procedures for VAT refund. Within 15 days after receiving complete dossiers, tax agencies shall notify business establishments that their dossiers are valid for tax refund and request business establishments to submit documents on payment of VAT at the import stage for tax agencies to issue decisions on tax refund. The time limit of 15 days for examination of dossiers of application for tax refund will apply to both dossiers subject to inspection prior to tax refund and those valid for tax refund prior to inspection. - Within 3 working days after receiving documents on payment of VAT on imported goods, tax agencies shall check tax payment documents against the figures declared in the approved tax refund dossiers of business establishments and issue a tax refund decision. In case the paid VAT amount inscribed in tax payment documents is lower than the tax amount proposed for refund, the to-be refunded tax amount is the amount indicated in tax payment documents. In case the paid VAT amount indicated in tax payment documents is higher than the tax amount proposed for refund, the to-be-refunded tax amount is the amount proposed for refund. This Circular takes effect 45 days after the date of its signing. Other cases of VAT refund not yet guided in this Circular shall comply with current laws.